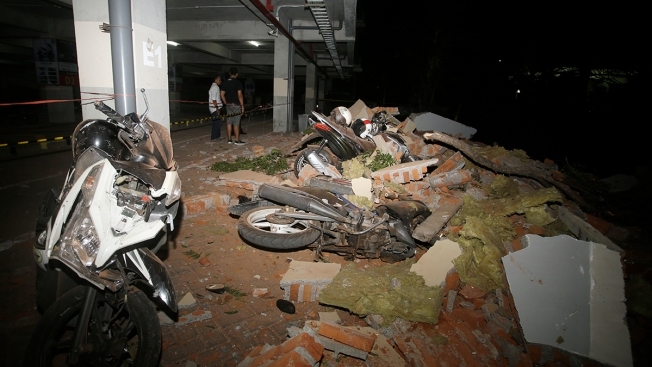 Debris on top of a motorcycles after an earthquake in Bali, Indonesia, Sunday, Aug. 5, 2018. A strong earthquake struck the Indonesian tourist island of Lombok on Sunday, killing at least three people and shaking neighboring Bali, one week after another quake on Lombok killed more than a dozen. A powerful earthquake struck the Indonesian tourist island of Lombok, killing at least 98 people and shaking neighboring Bali, as authorities said Monday that rescuers still hadn't reached some hard-hit areas and the death toll could climb. National Disaster Mitigation Agency spokesman Sutopo Purwo Nugroho told a news conference that damage was "massive" in the north of Lombok. Sutopo said more than 200 people were seriously injured. 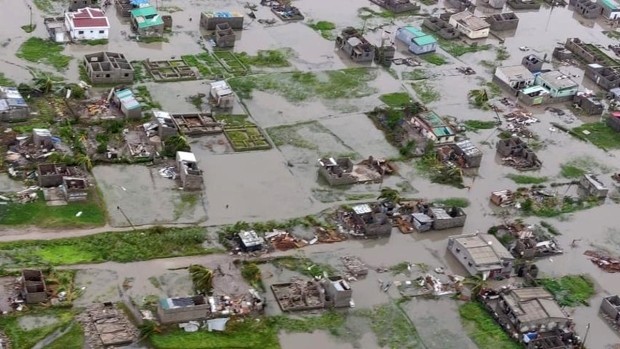 Thousands of homes and buildings were damaged and 20,000 people are in temporary shelters. "People panicked and scattered on the streets, and buildings and houses that had been damaged by the previous earthquake had become more damaged and collapsed," Sutopo said. Australia's home affairs minister tweeted that he and his delegation were safely evacuated in darkness from a Lombok hotel where they have been staying during a regional security conference. Model Chrissy Teigen, who was in Bali with singer-husband John Legend and their two children, live tweeted the shaking. Associated Press writer Stephen Wright contributed.